In Passchendaele near the end of the Great War, Captain Giles Hardy is trapped on barbed wire, wounded in mind and body, convinced he should be dead. But Giles’s true battle begins after he’s rescued and sent home. In the small town of Stafford, he struggles with terrifying visions of the atrocities he’s witnessed—and a recruit he served with. 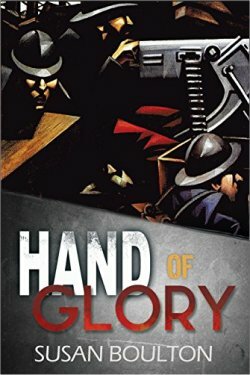 The visions lead Giles to a man who exploits the grief of the bereaved with the help of a Hand of Glory, a mythical tool of thieves. A new friend, Agnes Reed, and the ghost of an old one, Corporal George Adams, aid Hardy in his investigation. Now he must catch the thief, destroy the hand, and lay to rest the men who will otherwise never leave the fields of Flanders. Colonel ‘Iron Hand’ Straken and his Catachan Jungle Fighters must hold the line against the ork menace. 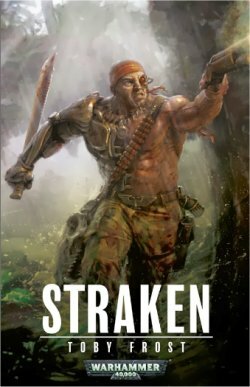 Plucked from a catastrophic war against the monstrous tyranids, Colonel ‘Iron Hand’ Straken and his Catachan Jungle Fighters are sent to the cavern world of Dulma’lin to clear it of an ork infestation. Ranged against an overwhelming force of greenskins, and with the hostile attentions of Commissar Morrell upon them, the Catachans must overcome internal divisions and hold the line against the alien menace. 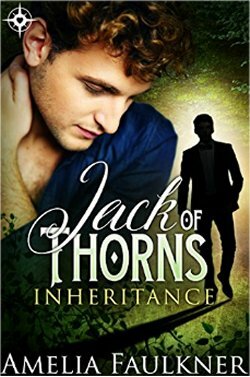 Kora Blackmore, thrown into Bedlam mental hospital by her father – Britain’s leading industrialist Sir Tantalus Blackmore – is one day visited by a mysterious gentleman, who gains her trust then makes off with her to his family home in Sheffield. 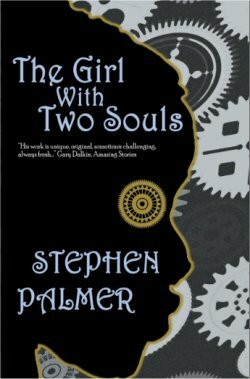 But Kora is afflicted with a bizarre condition, that the hospital believes is a second soul – the girl Roka – somehow living inside her. Roka however is much more feisty than Kora, and far less obliging. Soon she is caught up in street politics, disorder and protest – and all without Kora’s knowledge. 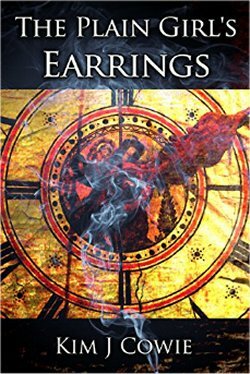 A stone from the stars rips a royal family apart, in a new tale from the banished lands. Weary hero Cam rides to the aid of his dying king, bearing the elixir that may save him. A party of reluctant adventurers pursues a troll across a snowy mountainside – or is it the troll who is hunting them? Fourteen tales of daring, death, and glory, by fourteen talented authors. Grab your map, sword, and magical amulet; your journey awaits. 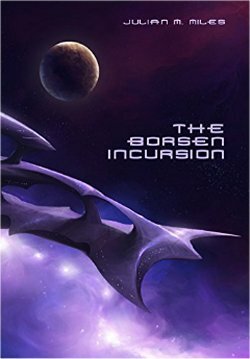 The Borsen use strange technology to strike down fleets and planets with terrifying ease. Their inexplicable reserve leads some to suspect that they have a purpose beyond conquest. But all are certain that for the first time in half a millennium, mankind is facing a dire threat. Centuries of bureaucracy and entrenched arrogance lead to grievous losses. Even when a miraculous new technology offers an upper hand, factionalism and jealousy arise to threaten those who use it. Can a visionary commander unravel the mystery that drives the Borsen? Can he prevail against the fear that spreads as losses mount? Can he realise the potentials of those who serve under him in time? A centuries-spanning tale of space warfare told from major and minor viewpoints: the victories and the tragedies, the decisions that make or break civilisations, the resilience of ordinary people striving to cope. Be there when heroes are made and villains fall. Understand the motives of an enemy that seeks to drive humanity to the brink. 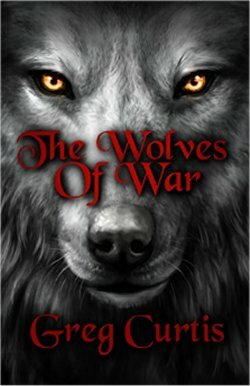 Using over fifty pieces of carefully-crafted short fiction augmented by comprehensive appendices, this book will take you from the start of the incursion to its end, letting you witness the war while revealing its impacts and revelations from every angle. Give me liberty or give me death wasn't Travis Lucia Hamilton-McQueen's foremost declaration. She'd returned from near death and wasn't keen on revisiting; she just wanted her life back. When Travis gets a second chance, she goes all the way. A new life; a new body; and even some new memories. The memories come with extra baggage that she would rather have left behind, if she could have; unfortunately at the time of arrival she was in a coma. Regardless; they're the only memories she had; no matter how insane they made her sound to the staff of the Medical Space Station Perl. A soulless clone with limited freedom and an amnesiac ward of Greater Terran Galactic Properties, with a possible Dissociative fugue identity, Travis was produced from a family line of murderers; convicts; and terrorist. To be fair, she's the one being accused of being a terrorist. At least she's fitting into the family. She has no memories of herself to confirm or deny the evidence, but if medical tests are to be trusted; she's the Granddaughter of Dane Hamilton and daughter of Travis Hamilton. And if that's true then what's ultimately crazier than her strange memories, is the person belonging to those memories. The explanation lies with the League Jump Guild, people in charge of the technology that drives Starships through deep space. Travis would rather not deal with the LJG for a number of good reasons including the fact that they suspect she's used Black Tech or stolen Jump Technology to illegally jump through space. Worse yet, she did so without the protection of a space ship or space suit, which exposed her to a number of theorized conditions that would account for her present fugue like state of identity confusion. The LJG would say a person would be quite mad to do as she's done, with little chance of surviving. Being alive could seem like a blessing, if she overlooks the expected eventual outcome of such a capricious act: a severe irreversible psychotic episode. 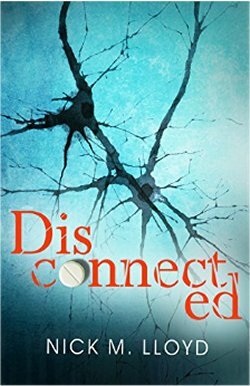 When Travis and a nurse are attacked; two staff members die under suspicious circumstances; and an LJG General, with an agenda, comes calling on her; she checks herself out of the facility and bolts. Using her father's knowledge she attempts to hide out on a space station in the middle of nowhere with few practical places to conceal herself and begins to wonder if this all might be the beginning of her psychosis. While fearful of becoming unhinged and dangerous, she must avoid the people trying to kill her and find a way off the station so everyone will be safe. 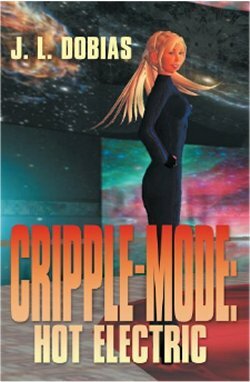 But Travis brought something back with her from JumpSpace that wants her to remain on the station: to complete a task or finish driving her completely over the edge. Captain Zachary Crowe and his crew deem themselves custodians of the stars. Their job: to handle environmental clean-ups and close system jumps to collect precious ores and space trash. The problem is they have yet to complete an assignment without a mishap to add to their not so stellar record. 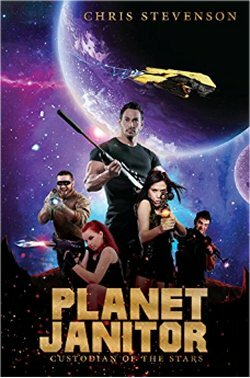 Scraping the bottom of the barrel, Orion Industries contracts Planet Janitor for a clandestine operation that no one else wants, offering them more money than they could spend in three lifetimes. The mission entails a 12 light-year trip to a newly found habitable planet in the Tau Ceti system. The crew will lose 26 years on Earth due to the cryo jump, but that is the least of their problems. What they find on Tau Ceti will rattle their wits, test their courage, and threaten their very survival. Included are two Planet Janitor short stories. 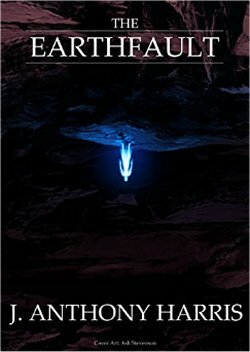 In “The Moon is not Enough,” the Crew of Planet Janitor are contracted to survey the damage to a lunar mining facility caused by a meteor shower. When a second job proposition proves too sweet to turn down, Captain Zachary Crowe must enter the devastated base. But will the reward be enough to outweigh the consequences of taking on such a risky mission. In “Journey Interrupted,” the crew of Planet Janitor Corporation are on the tail end of a salvage mission in the asteroid belt when they encounter a ghost ship. Faced with a volatile substance onboard, the crew race against the clock to commandeer the vessel before it reaches the Exon refueling station. What they find on the ship will stress their abilities to the limit, and put their lives in imminent danger. But Del isn't the only one on the run from the demons. For seventeen years the Guild of Saint Peter has done its best to hide orphan Rose, a key player in the centuries-old Heart Blade prophecy. 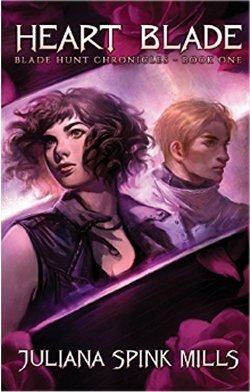 The threads tangle, and soon Del, Ash and Rose find themselves in the crosshairs of an ancient war between demons and angels... and the hunt for a mythical weapon that could change the balance of power forever. 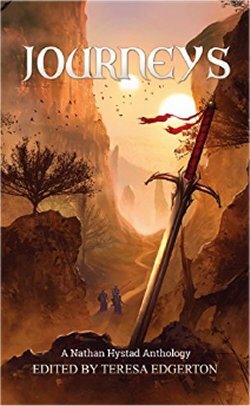 "Heart Blade is the perfect combination of fast-paced plotting, high-stakes twists, and a well-developed cast of richly layered 'preternaturals'. I loved every page of this book!" - Carrie Firestone, Author of The Loose Ends List. A mother leading a fanatical army and seeking revenge for her son. Two warriors, each plagued by the past and seeking one last chance of redemption. 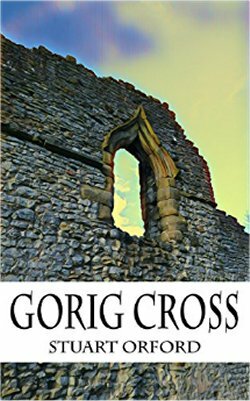 A town commander near retirement; a volatile blacksmith; a naive priest with untapped power. A petty bully of a mayor; a young hunter, victim of violence and thrust into violence of his own. 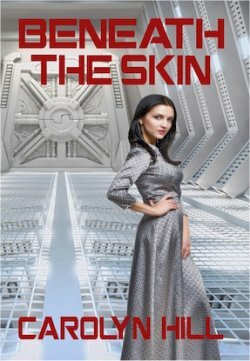 In a dystopian future, a healer and a shapechanger join forces against a ruthless alliance of powerful families. Aleta Graham is a healer and empath, abilities that make her a useful pawn for the Dagarro family, who have addicted her to the drug known as Sand in order to keep her submissive. But Aleta is determined to overcome the influence of the drug, and make a desperate bid for freedom — even knowing that the penalty for disloyalty to the family is death. Riven is a shapechanger, a computer genius, a spy sent by the government to destroy the power of the Dagarro. By taking on multiple identities he becomes at once Aleta's dearest friend and most feared enemy. But in growing closer to Aleta, Riven imperils her, himself, and his mission. As children, Malina and Lola had been inseparable. That all changed in a single moment: a cataclysm tore the land apart, and the new island took Lola beyond the horizon, and the ruins of the ancient city of Trimus with her. Heartbroken, Malina vowed to search for her sweetheart as soon as she could. Now an adult, she must leave behind the comfort of home and begin the journey of her life to find Lola once more.